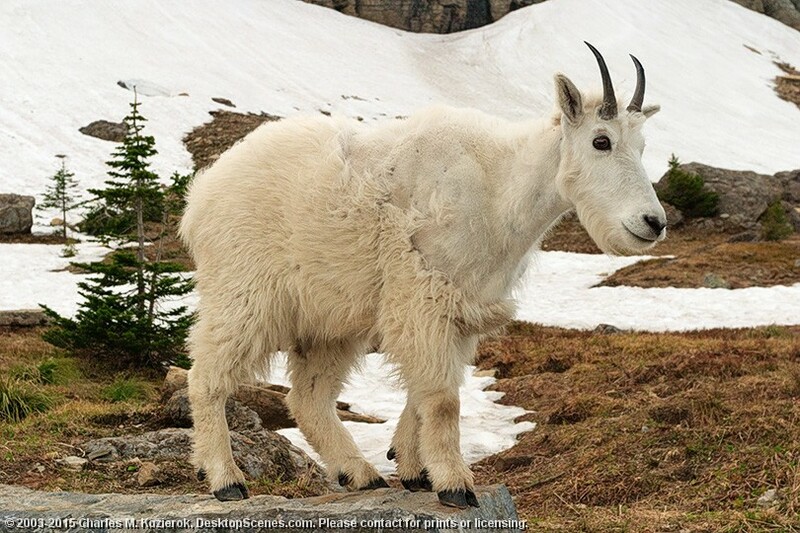 A closer view of the same mountain goat that appears in the preceding capture. I must say that I was very grateful that he decided to pose for me! He's standing on the edge of a rock wall that borders the parking area where we stopped.